The forecast called for 75-degree weather, clouds, and rain, but it was BUKU weekend and the weather was not about to put a damper on a weekend of music and art. As I arrived on the first day, the sun peaked through the clouds—a positive sign of the weekend to come. The rain held off for most the weekend, save for a few light sprinkles, a far cry from the forecast of weekend showers. As I made my way through security, my jitters gave way to excitement as the booming of the main stage, the Power Plant, intensified. BUKU Music + Art Project takes place at Mardi Gras World, overlooking the last stretch of the Mississippi River as it winds towards the Gulf of Mexico. Making my way towards the Float Den, I observed the adjacent Ballroom Stage, merchandise tent, and vendors, anxiously waiting for the sun to go down and the festival to light up. K?D was performing at the Float Den, essentially a large warehouse at the back of the festival, which would serve as the hub for bass music that weekend. After K?D wrapped things up, San Holo took the stage. At the same time, security guards drove through the crowd with two large industrial dehumidifiers towards the Float Den stage. The bass-heavy music of the Float Den got the crowd quite energetic. Combined with the large crowds that the Float Den attracted and the mediocre airflow of a mostly-enclosed space, the Float Den got hot and sweaty. 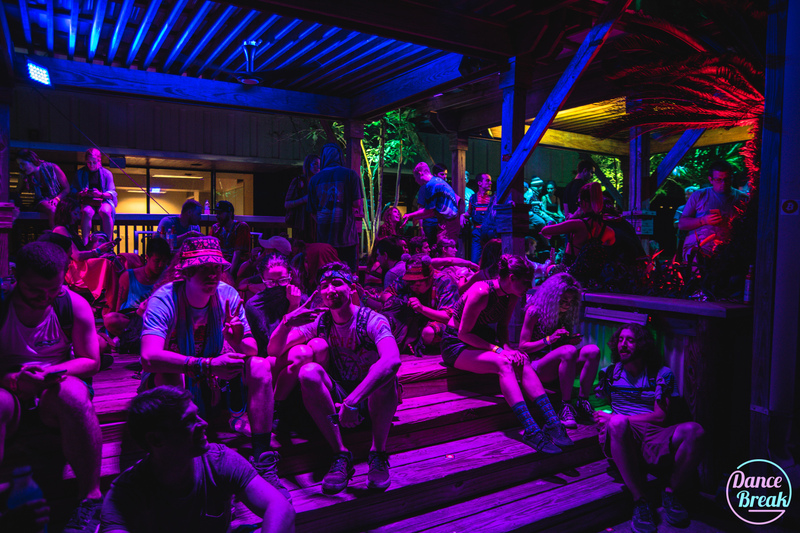 As the sun dipped lower in the sky, the Float Den turned up the energy. TroyBoi threw down a performance as gnarly as the air in the room—heavy bass combined with smooth transitions and seamless mixing. Looking for a reprieve from the heat, I found Opiuo at the Ballroom Stage, an indoor stage with much-needed air conditioning. The Ballroom was dimly lit with minimalist lighting and an electroluminescent wire chandelier that set the tone of room. The environment proved suitable for hula-hoopers looking for room to dance, and people just looking to soak in the sounds of the music without being distracted by the lights or crowds. After Opiuo, I made a quick stop to see Whethan at the Back Alley stage, literally a back alley, tucked away from the madness of the rest of the festival. The Back Alley served as the home for House and Techno, with an illuminated gazebo viewing area for those wanting to escape the crowds. Friday night, the Back Alley saw performances from artists like Clams Casino, and a Shiba San B2B Justin Jay set. Unfortunately, Nora En Pure would miss the festival due to issues with her flight. On the way back to the Power Plant, I stopped in to catch a bit of Slushii, who was throwing down some wonky beats at the Float Den. After a quick listen, I continued to one of the main attractions of the weekend—the funky and saxy Grizmatik, whose saxophone sounds complemented the local New Orleans music scene. After Grizmatik, I split my time between two of the closing performances: a packed Zeds Dead show at the Float Den and a more chill and groovy set by Shiba San & Justin Jay at the Back Alley. The second day saw light precipitation and a drop in temperature, a welcome treat to cool down the crowd. The Float Den continued its bass theme with early performances by Minnesota B2B Space Jesus, the alien-esque Rezz, and the mystery man, Malaa. 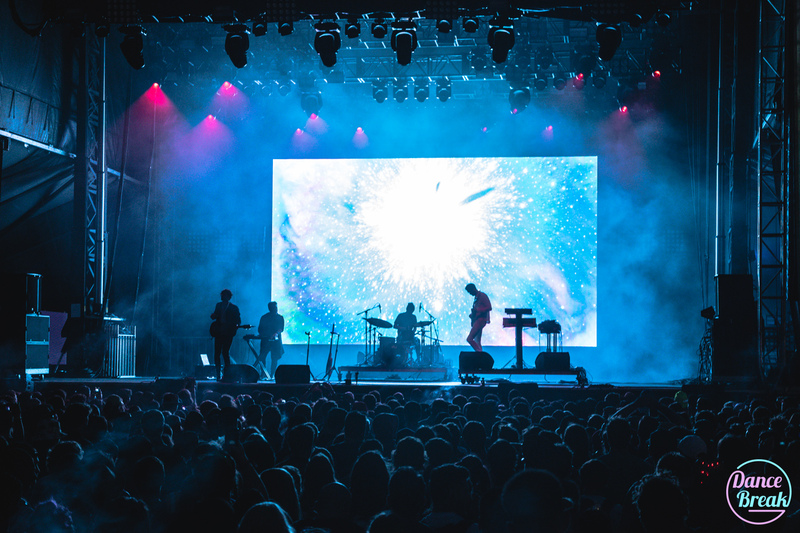 Back at the Power Plant, Tycho (Live) put on an incredible melodic sunset performance, accompanied by the design and photographic visuals of Tycho’s primary composer, Scott Hansen, also known by his design alias, ISO50. The strong hues of magenta and red complemented the sky as the sun dipped below the horizon. Jumping from stage to stage, I spent more time hanging out at the art carts. BUKU creatively utilizes art carts, which are smaller in size compared the larger art cars seen at bigger festivals. 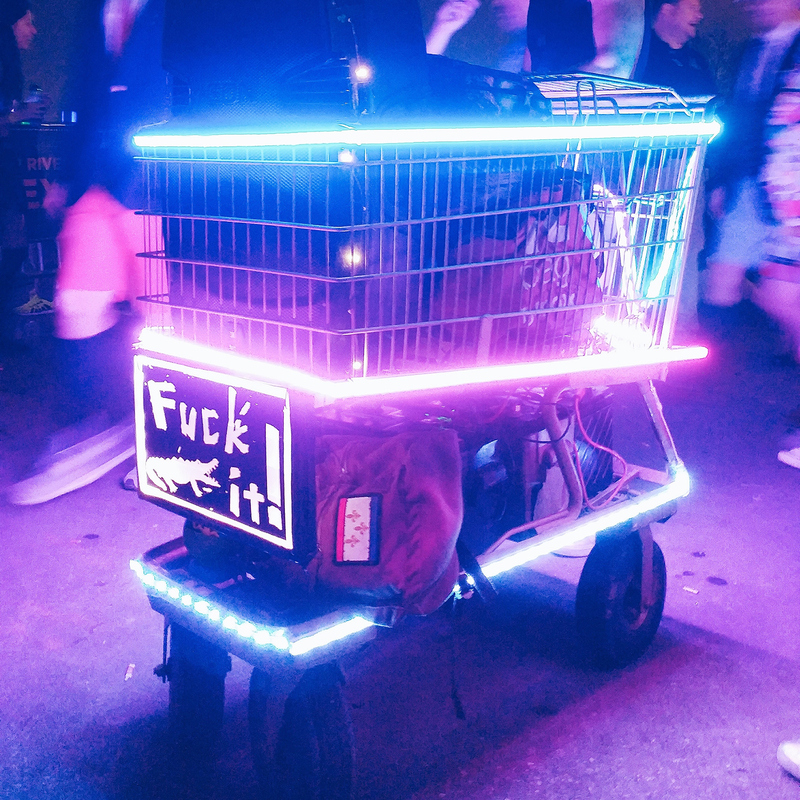 Pedicabs and shopping carts adorned with lights, speakers, and DJs made the rounds at the festival, giving attendants a chance to stop and take a quick dance break in between stages. Or, if the music caught your ear, a quick dance break would turn into quite a long one. Back at the Float Den, the mysterious Zhu closed out the night. Starting with minimal lighting effects, his performance turned the Float Den into a dance hall as his set progressed, and with it, the lighting intensity. He jumped on the mic several times to perform vocals for his songs, a signature characteristic of his producing and DJing style. Zhu’s performance was a flawless way to end the weekend—an intense dance music experience that is simultaneously low-key, a perfect embodiment of BUKU Music + Art Project. BUKU Music + Art Project 2017 is right around the corner. If you’re interested in attending, but haven’t purchased tickets yet, all ticket options are still available for purchase. Make sure to check the schedule and plan accordingly. 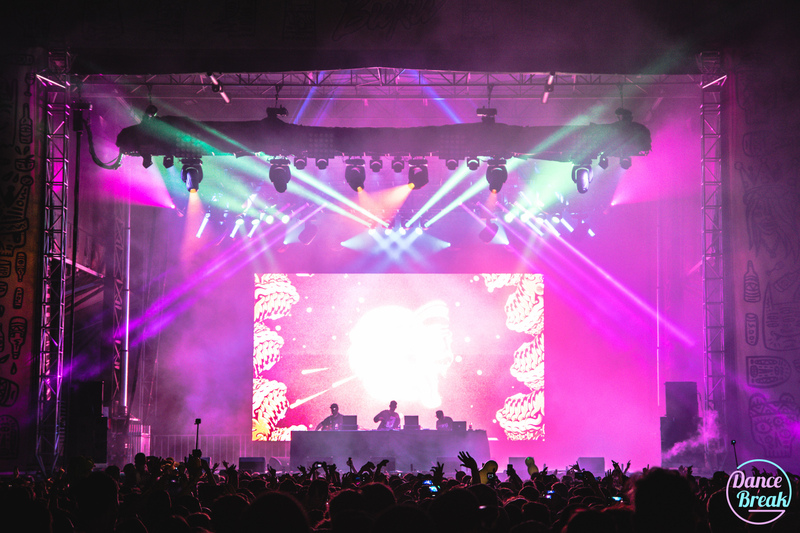 BUKU is slated to be an incredible exhibit of music and art. Check out some of the artists that we’re excited to see. The mysterious Malaa broke into the scene in 2015 donning a black ski mask. The identity remains a secret, but the project seems related in some way to DJ Snake, Tchami, and Mercer, three artists that share the same manager, and have similar roots in the French House scene. Malaa regularly releases his Who Is Malaa mix series, showcasing his style. Malaa is scheduled to perform from 6:00-7:00PM on Saturday at the Float Den. Chet Porter’s releases go back to 2014, with his remix of The Chainsmokers’ Kanye. Since then, he has honed his signature, chilled out dance style. Chet Porter continues to rise in popularity as people catch on to his feel-good aura. His recent release, Stay, was released on the Foreign Family Collective label. Expect a good show of talent from this budding producer. Chet Porter will be performing Friday from 9:00-10:00PM at the VIP S.S. BUKU stage. Grizmatik is the collaboration project between GRiZ and Gramatik. Both artists have hugely successful solo projects, but occasionally join forces to “show you how to weaponize the Uranium and cause Electro Soul devastation.” Their jazzy saxophone sounds will surely complement the local New Orleans jazz scene. Grizmatik will be taking the stage from 7:45-9:00PM at the Power Plant. Daniel Goldstein, better known by his stage name, Lane 8, hails from Denver, CO and is signed to Anjunadeep. He made headlines last year on his “This Never Happened” Tour, when he had all attendants place a piece of tape over the cameras on their phone, so that people spent the show dancing and listening to music instead of on their phones. This move was generally well received; Lane 8 was widely applauded by attendants for the positive effect this had on the event. Lane 8 exhibits a style that seems rarer in the dance music world these days: extended sets that take you through a gradual musical journey, drawing on traditional House and Trance styles. Lane 8 will be performing from 8:45-10:00PM on Saturday at the Back Alley. Hailing from New Zealand, Opiuo describes his sound as “Broken-frog-stomping-funkadelic-hippo-hop-monkey-crunk-chunky-bouncy-stomach-morphing-bassdolloping-scrumptious-bowl-of-glitchy-bass-love.” Opiuo has been gaining a strong foothold in the US music scene recently, joining festival lineups that cater towards Bass, Glitch, Funk, and Dubstep styles. Opiuo keeps things fresh with his genre-defying sound. Opiuo performs from 6:30-7:15PM on Friday at the Ballroom. Zhu was thrust into the limelight in 2014 with his release of Faded. Although his identity is not a secret like some of his contemporaries, he puts the emphasis on his music and keeps the focus away from his personal identity. Zhu is now a household name. He draws influences from seemingly all styles of music, with a penchant for remixing classic pop and hip-hop songs with his dark style. One’s for sure, Zhu knows how to throw a late night party, which will be perfect for his 11:45PM-1:00AM set on Saturday at the Float Den.